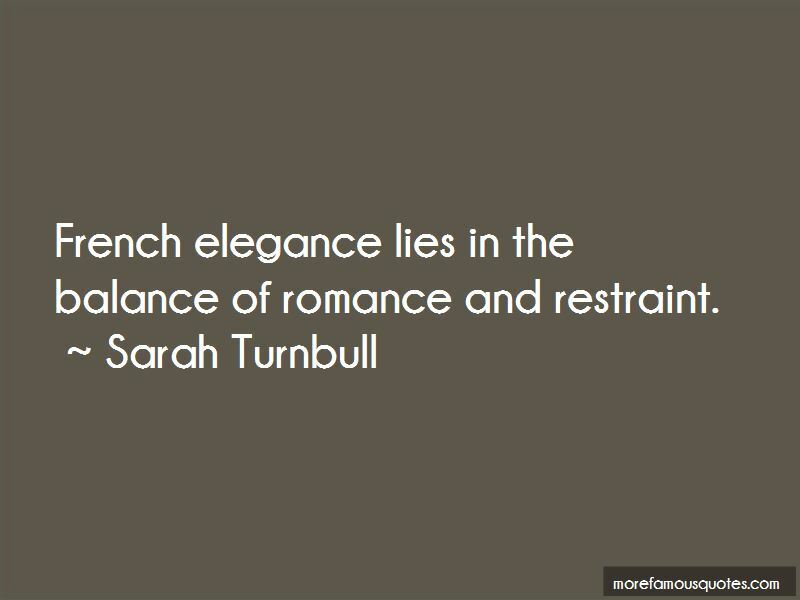 Enjoy the top 5 famous quotes, sayings and quotations by Sarah Turnbull. I know of no other place that is so fascinating yet so frustrating, so aware of the world and its own place within it but at the same time utterly insular. A country touched by nostalgia, with a past so great - so marked by brilliance and achievement - that French people today seem both enriched and burdened by it. France is like a maddening, moody lover who inspires emotional highs and lows. One minute it fills you with a rush of passion, the next you're full of fury, itching to smack the mouth of some sneering shopkeeper or smug civil servant. Yes, it's a love-hate relationship. Want to see more pictures of Sarah Turnbull quotes? 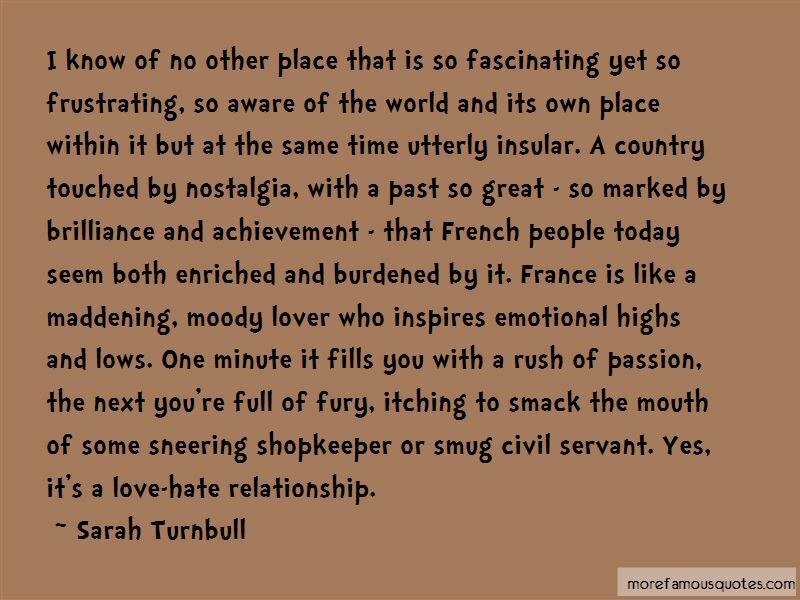 Click on image of Sarah Turnbull quotes to view full size.